A Bar Mitzvah is the coming of age for a young Jewish man and being invited to be part of the event team is a privilege that we don’t take lightly. This event was held at the Caulfield Shule. 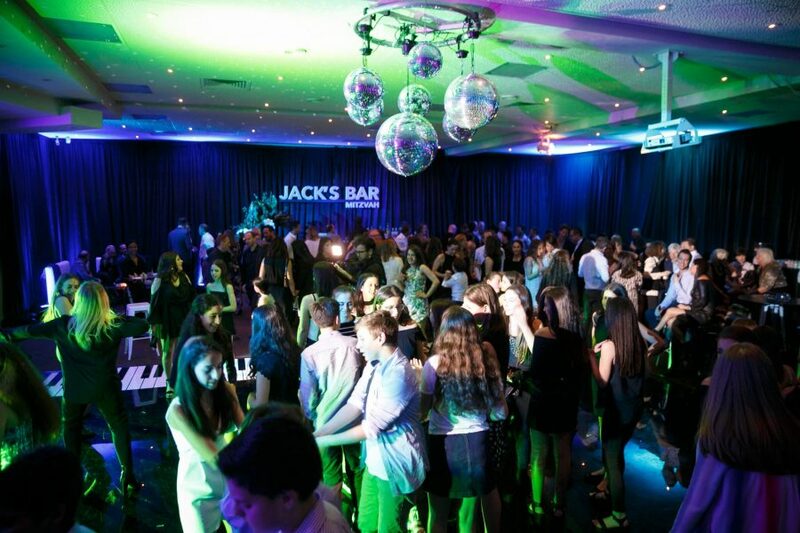 Our job was to transform the venue into a “cool” space with a club-like feel. 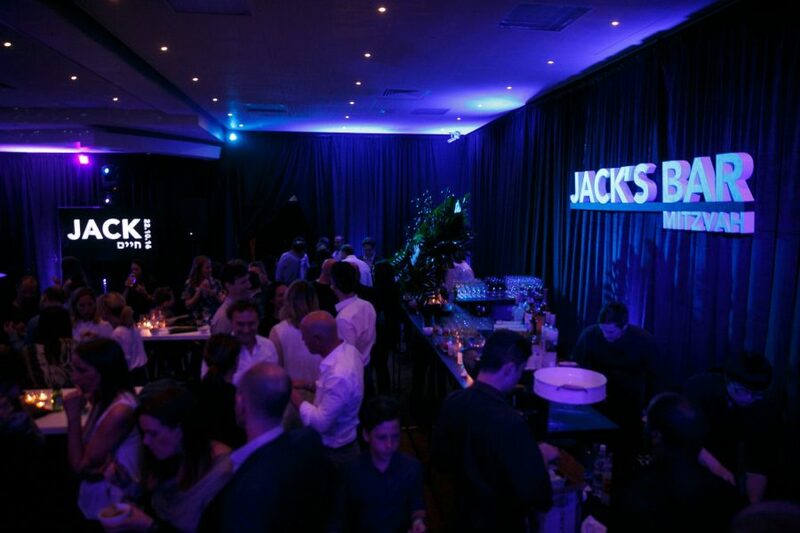 A space personalised for Jack, where the young adults could dance, play games and have an experience that Jack remembered for a lifetime. Our challenge was more steeped in culture than in the intricacies of the venue. The Sabbath starts on Friday at sunset and finishes sunset on Saturday. Saturday night was the night of the event. This meant that our bump-in was staggered over 3 days. The other issue we faced was the lack of anchor points in the ceiling from where we could hang the dazzling mirrorball installation. To create a “club-like” atmosphere, we covered the walls with black velvet draping, dimmed the lights and themed the evening with green and blue up-lighting. 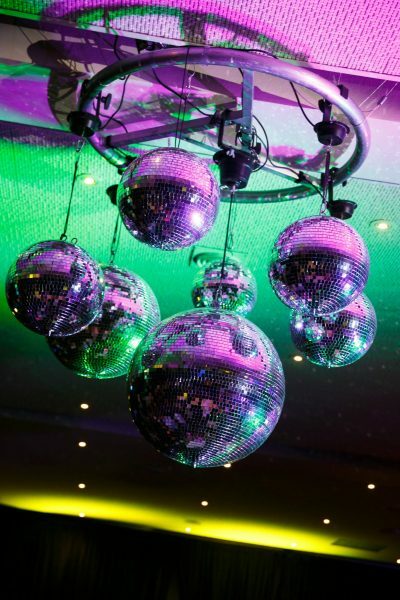 Created and installed a custom built mirrorball ceiling installation that threw beams of colour around the room. And built a custom DJ booth to add the final club touch. To really make this experience reflective of Jack, we designed and installed a custom black gloss dance floor with a keyboard along one side. Jack is an avid music lover and a piano player. 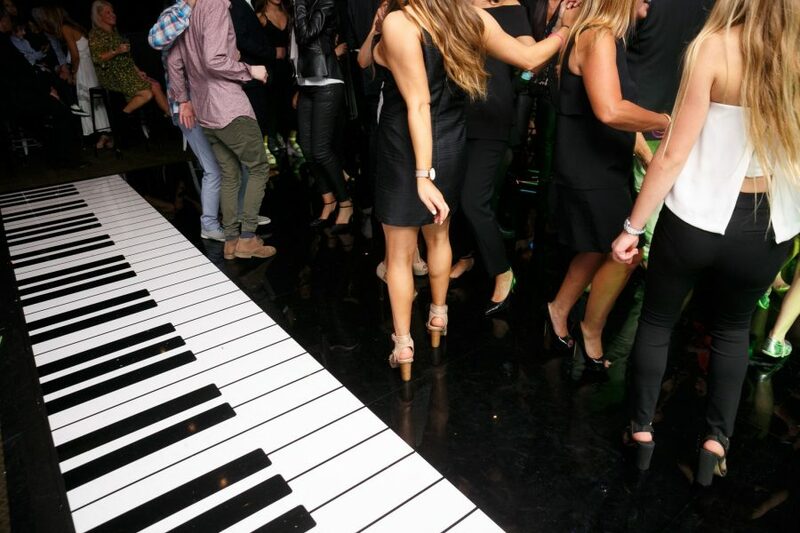 The look and feel of the venue created a Jazz Club allure complete with a grand piano themed dance floor. A traditional and fun-filled celebration of a young boy becoming a man. A transformation of a religious venue into a “Jazz Club”. A design that reflected the personality and uniqueness of the host. And an event that was talked about on social media for weeks to come! Thank you so much for Saturday night. The room looked amazing! We could have been anywhere. Everyone was absolutely amazed and we’ve had wonderful feedback.